Patanjali, the author of the Yoga Sutras treatise is largely believe living around year 200 B.C.E. Based on the comparison of the Sanskrit style of text, scholars like Dasgupta, Liebich, Garbe identify the author of YS to be the same Patanjali, the grammarian, author of Mahabhasya, a treatise on grammar. Other scholars like Woods and Jacobi believe that there was another Patanjali who has written the work around the 5th c. C.E or later. The issue of Buddhist influence and interpolation is also considered by scholars like Keith A. B. and Hauer. (Eliade,1954, p. 363). 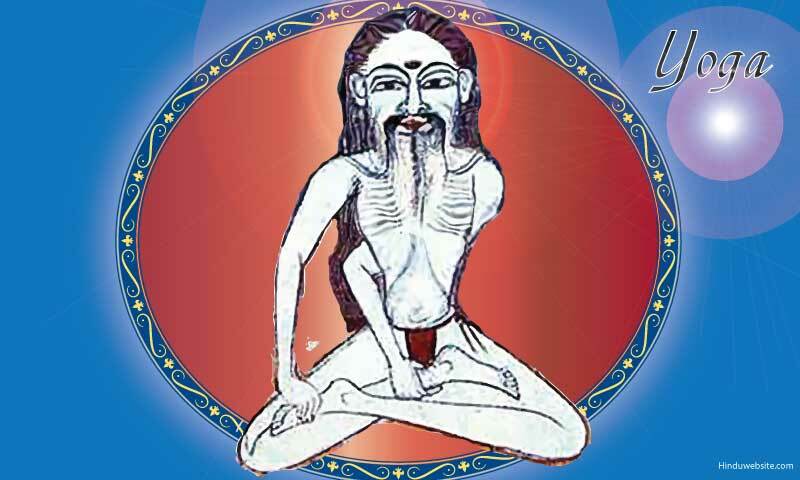 The best known first English versions were done by Woods (The Yoga system of Patanjali, Harvard Oriental Series, 1914) and Rama Prasada (Patanjali,s Yoga Sutras, Allahabad, 1910). (ibid., p. 364). Well-known modern versions of translation with commentaries by their respective authors, were done by Swami Satyananda Saraswati (1989) and Swami Vishnu-Devananda (1999). The present presentation on the translations/ interpretations of YS is based on these two versions done by the above Sanskrit scholars who were recognised as outstanding Yoga teachers as well. YS, usually translated as Yoga Aphorisms, set the foundation of Raja Yoga, the 'Royal Yoga', a classical of Yoga systems. The well-known work is usually addressed as Ashtanga Yoga, the Yoga of eight steps/ limbs (Skr. anga) containing the celebrated classification of eight-fold paths of Yoga i.e. yama, niyama, asana, pranayama, pratyahara, dharana, dhyana, samadhi. The work is divided into four chapters (padas), Chapter. I (51 sutras) known as Samadhi, Chapter II (55 sutras) known as Sadhana, Chapter III (56 sutras) known as Vibhuti, Chapter IV (34 sutras) known as Kaivalya, as shall be explained below. In the first chapter Yoga is defined and some of obstacles to achieve Yoga are enumerated. A couple of classifications are brought into attention and various kinds of samadhi are briefly explained. The classical Sanskrit definition of Yoga as Yogacittavrittinirodha is translated by Swami Satyananda Saraswati (1989, p. 35) as: "To block the patterns/ modifications of consciousness is yoga". Swami Vishnu-Devananda (1999, p. 140) translates the same sutra as: "Yoga is restraining the activities of the mind". The above definitions are quite similar for the fact that cittavritti means both pattern of consciousness and activity of the mind. Furthermore, YS enumerates the five-fold kinds of vrittis/ cittavrittis, namely pramana, viparyaya, vikalpa, nidra and smriti, giving their definitions in following sutras as correct knowledge, incorrect knowledge, imagination, sleep and memory respectively. The two essential qualities for success in Yoga are mentioned to be abhyasa, constant practice and vairagya, detachment from the material experience seen more in its inner aspect. The issue of cittavrittis becomes fundamental for the fact that by controlling, blocking or restraining the cittavrittis the state of yoga is achieved through samadhi in its various aspects as experience of awareness. Various kinds of samadhi (Lit. 'union with the Lord') are mentioned. However there are only two categories of samadhi viz. sabija ('with seed') and nirbija ('without seed'). Sabija samadhi in its own turn is of six kinds viz. samprajnata, asamprajnata, savitarka, nirvitarka, savicara, nirvicara depending on the object of experience of awareness. Chapter I ends up in sutra 51 by clarifying that seedless awareness (nirbija samadhi) is obtained by blocking of all cittavrittis. Chapter II known as Sadhana pada focuses on the practice (sadhana) itself, the obstacles (kleshas) to the practice and various fruits of practices. The first six parts (out of eight) of yoga discipline are presented along with their fruits. The five kleshas are of utmost importance as they are seen as obstacles/ afflictions binding down the human being for not attaining its potential that of union (Yoga) with the Divine known as Ishvara. The five obstacles are avidya ('ignorance'), asmita ('the I-feeling or Egoism'), raga ('attachment/ passion'), dvesha ('anger/ aversion'), abhinivesha ('will to live/ clinging to life'). Furthermore the chapter presents the methodology of how to gradually remove these obstacles and other theoretical considerations of the Yogic practice. The last part of this chapter presents the paths/ steps of Raja Yoga. The first step known as yamas, largely translated as moral codes of conduct is of five kinds viz. ahimsa ('non-violence'), satya ('truthfulness'), asteya ('non-stealing'), brahmacarya ('continence'), aparigraha ('lack of greed'). The five niyamas as inner disciplines are presented as being shauca ('purity' - both physical and mental), santosha ('contentment'), tapas ('austerity'), svadhyaya ('study'), ishvarapranidhana ('devotion to God'). The chapter ends us with the presentation of steps three to six of the eight-fold paths as being asana, pranayama, pratyahara i.e. 'posture', 'regulation of the breath' and 'withdrawal of sense experience' respectively. Chapter III clarifies the last two limbs of Yoga path as being dhyana ('meditation') and samadhi ('awareness') and introduces the notion of samyama in sutra 4 as being the simultaneous practice of the last three Yoga limbs i.e. dharana, dhyana and samadhi. The notion of samyama becomes fundamental for the fact that all vibhutis known also in yoga as siddhis the supra-normal abilities are subject to the practice of samyama. The chapter goes much in details on what could be obtained by practicing samyama on various objects, ideas, phenomena, etc. These powers vibhutis / siddhis are of great variety like the knowledge of the future, of previous births, of other's mind, of solar system, of stars, etc. It also states how invisibility could be achieved, levitation or conquest of nature (prakriti) itself. Most of leading yoga teachers do agree that these unusual abilities are not to be taken per se as the defiance of the laws of physics by a yogi but they have to be seen as powers of the mind for the fact that the mind can stretch anywhere. Yoga itself is seen as the empowering of the mind, the mind being deeply analysed in chapter IV. Chapter IV clarifies the issue of liberation (kaivalya) and how this could be achieved by the mind. Vasanas known also as samskaras are to be seen as subtle mental forms or subtle mental impressions becoming resident in the mind as latent potentialities having karmic effects. They accumulate and give rise to the will to live (abhinivesha) as one of the five kleshas. These Vasanas will disappear through the elimination of four factors namely hetu ('cause'), phala ('effect'), ashraya ('support of an experience') and alambana ('object of an experience') (ref. sutra 11), therefore citta ('higher mind') becomes pure and capable to reflect both the drashta ('observer/ witness') and the drishya ('what is seen/ observed'). This chapter ends up in sutra 34 by defining liberation (kaivalya) itself: "Kaivalya is that state in which the gunas ('qualities') merge in their cause, having no longer a purpose in relation to purusha ('Pure Consciousness'). The Soul is established in its true nature, which is Pure Consciousness." (Vishnu-Devananda, Swami, 1999, p. 207). The Yoga treatise YS is the foundation work on the Raja Yoga system. The work systematically presents the basis of this kind of Yoga, considering the definition of Yoga itself, various kinds of awareness (samadhi), the practice (sadhana), various supernormal powers (vibhutis) and the attainment of liberation (kaivalya). The gradual progress on the Yoga path is shown in the eight-fold paths/ steps necessary to attain the goal. This system of Yoga has to be seen as being just one kind of Yoga. Along with it there is Bhagavad Gita ('The Song of the Lord') a synthesis of the main Yoga systems viz. Karma Yoga, Jnana Yoga and Bhakti Yoga. Although issues of Hatha Yoga ('physical Yoga') are mentioned by the asana, pranayama steps, YS does not go into much details as other classical works on Hatha Yoga like Hathayogapradipika, Gheranda Samhita and Shivasamhita do. There are other varieties of Yoga like Mantra Yoga, Tantra Yoga or Laya Yoga that are not mentioned in the YS. Although many other issues regarding the Yoga systems are not covered by Patanjali's Yoga Sutras, the work remains without doubt a classical in the field and a continuous source of inspiration in the future for its never ending interpretation of the original Sanskrit text. Source: © 1999 and subsequent years Octavian Sarbatoare, Australia. This article is copyright-protected. The author grants the right to copy and distribute this file, provided it remains unmodified and original authorship and copyright is retained.